Don't take a chance with a major capital expense. Why buy “as is, where is". Take a look at the Benick Difference! 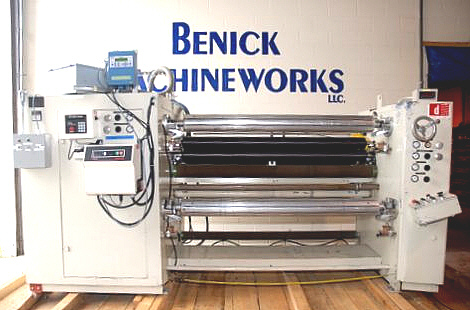 Benick Machineworks is well known as the reliable source for used slitters. Our staff has the technical capability and experience to help you solve your slitting problems. Level 1. We can sell you a used machine under the same conditions you are used to seeing with most used machine brokers. In the industry this is known as “as is, where is”; a modern phrase for Hammurabi’s famous code, “Buyer Beware.” We don’t believe this is the best way to buy or sell a used machine, but if you are not uncomfortable with this approach, we can sell you a used machine in the condition it is currently in. This option is available either when we own the slitter, or when we are brokering it for the owner. Level 2. Next, we offer our “Level Two” Benick option. 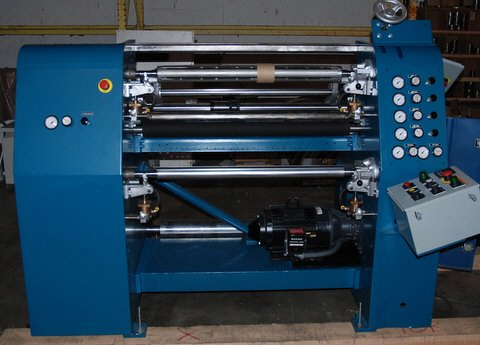 If you choose the “level two” option when buying a machine from Benick we will bring it under power, clean and test it, and if you wish modify it to perform your particular slitting needs. The machine may not look great but will perform your needs for a lower price. Level 3. Want more? We offer our “Level Three” option. In this case we “replace or repair parts we consider worn or defective". This does not mean a bearing or belt may not wear out, but it does mean we have gone over the machine and used common sense and experience to bring it into a higher level of condition than when we received it. Under this option you may choose to have the machine cleaned and painted. You may or may not choose to upgrade the drive and controls. Level 4. Can’t afford a new machine? We offer our “Level Four” option. This is our Like New machine. 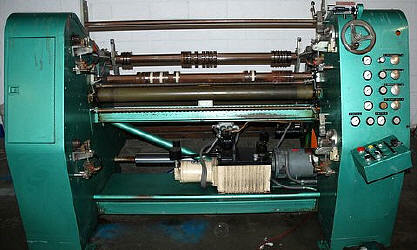 We strip the machine, replace all bearings, belts, pulleys, wiring, hoses, etc. The machine is sanded and painted and new drives and controls are installed. Of course we offer our ability to modify the machine as needed and our technical consulting. 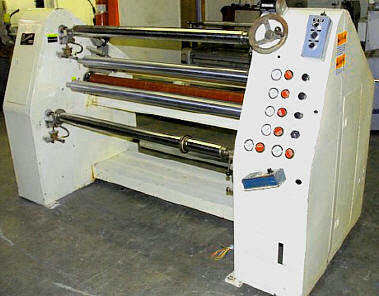 We usually can provide a machine like this for about half the price of new and in half the time. As for technical support, our customers call us for years after a purchase and we provide unequalled technical support. Remember, we ran slitters for many years and have the know how to solve your slitting problems.